Although a ‘joint venture’ is not recognised as a distinct legal concept or institution in Spain, in practice, there are different structures by means of which a joint venture may be implemented. The form will depend on various factors, such as the nationality and activity of the joint venture parties, the nature of the project or purpose of the joint venture, the contributions to the joint venture and its resources, and the duration of the joint venture. Contractual joint ventures are based on agreements by means of which the parties pool resources, normally for a specific business project. The joint venture agreement outlines the terms under which the joint venture parties will cooperate and work together, without establishing a separate legal entity (these ventures normally qualify as ‘internal’, non-incorporated companies). The parties will retain control over their own assets, business and employees. 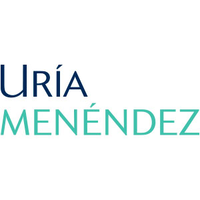 The temporary business alliance (UTE) has no legal personality and is a form of cooperation between the joint venture parties (including individuals and companies). Its members are jointly and severally liable for debts and liabilities. The UTE is usually implemented in order to develop a specific project or service allowing several companies to cooperate in a common project. UTEs are mainly used as a way to carry out works or services for local or governmental authorities or concession businesses. Other hybrid structures (dual-headed structures, parallel joint ventures with profit or loss equalisation and similar alternatives) have also been used in Spain. Most joint ventures are, however, incorporated, either through a partnership (a legal entity with unlimited liability for the partners) or a limited liability company (in which case the liability of the partners is limited to the amount of the company’s share capital). There are two main types of companies: private limited liability companies (SL) and public limited liability companies (SA). SLs are the most commonly implemented corporate form in Spain. Joint ventures are commonly used in all sectors in Spain, but in particular, they are implemented for real estate, infrastructure or engineering projects, and in the telecommunications, insurance and financial sectors. No rules apply specifically to foreign joint ventures partners. However, any direct foreign investment in a Spanish company (eg, the acquisition of shares of an incorporated joint venture) must be notified to the Ministry of Economy for statistical purposes once the investment is made (or prior to the investment if the investor is domiciled in a tax haven). In addition, restrictions apply to foreign investment in certain activities considered strategic or relevant (eg, defence, media, civil explosives and gambling). Lastly, anti-money laundering rules and regulations may also apply to a joint venture with foreign parties. Pursuant to Spanish law, a beneficial owner means the natural person or persons who ultimately own or control, either directly or indirectly, 25 per cent or more of the share capital or voting rights of a legal person, or who by other means exercises control, directly or indirectly, over the management of a legal person. Companies are obliged to identify their beneficial owner in any document granted before a notary public in Spain and when filing their annual accounts with the Commercial Registry. By way of exception, shareholders or beneficial owners of listed companies, or of their majority-owned subsidiaries, must not be identified if the company is subject to reporting obligations that ensure adequate transparency of the beneficial ownership. Information on beneficial ownership is publicly available at the Commercial Registry by requesting annual accounts. The structure of each joint venture is bespoke in light of the cultural, tax, legal and regulatory concerns of the parties, and to their aims and relative contributions to the venture. Identifying these in the early stages of the negotiation is essential to find the optimal structure for the joint venture. However, certain drivers are common when structuring the joint venture. The participation of each partner and their right to transfer the shares will be crucial when structuring the joint venture: 50:50 incorporated joint ventures are obviously far more complex than non-incorporated, contractual ventures or companies with minority partners. The nature of the partners (ie, whether they are industrial or financial) will also have an impact on the allocation of duties and liabilities, on deadlocks, and on the duration of the venture and its liquidation. Additionally, it may also raise competition issues (eg, vertical and horizontal integration). The structure of the joint venture will vary depending on whether it will operate on a cross-border or domestic basis, and on the nationality of the joint venture partners. Whereas a domestic joint venture will raise fewer cultural issues and the tax structure should be simpler, the cross-border venture will require a detailed analysis of the structure and far more planning or negotiation (on aspects such as the choice of law and dispute resolution, the location of the joint venture and the tax structure). The goals and scope of the joint venture, the venture or business to be performed, the contributions of the partners and the expected duration will also play a crucial role in determining the structure and the agreements among the partners. The main tax consideration when establishing a joint venture will be the choice of the type of legal entity to be used for the joint venture (ie, vehicles with legal personality versus vehicles without legal personality). In this regard, incorporated joint ventures will be subject to corporate income tax. On the other hand, vehicles without legal personality will allocate income and expenses, or their taxable income, in a flow-through mechanism directly to their partners. However, when the partner of a UTE is a non-resident entity, the vehicle is subject to corporate income tax on the taxable income attributable to that member and the subsequent distribution of profit will be treated as a dividend. The taxation of the contributions of the partners to the incorporated joint venture, and services rendered by the partners, must be considered from the perspectives of capital gains (direct taxation), as well as value added tax and other indirect taxes. Lastly, the future exit of the partners from the joint venture and the distribution of accumulated earnings (subject, as the case may be, to a certain waterfall) must also be carefully structured from the inception of the matter. Spanish law establishes certain requirements for capital contributions to Spanish companies. For example, contributions upon incorporation and any subsequent capital increase must be notarised in a public deed establishing the amount of the contribution. Additionally, in the case of an SA, in-kind contributions must be appraised by an independent and qualified expert appointed by the corresponding Commercial Registry. The report must contain a description of the contribution, registry information (as appropriate), valuation of the contribution and whether it coincides with the par value, and, if applicable, the value of the share premium of the shares issued in exchange. In SLs, and in certain cases in SAs (eg, when the in-kind contributions are shares listed on a secondary market), the independent expert report may be replaced with a report issued by the management body. In the case of in-kind contributions entailing the transfer of a real estate asset or in rem rights to the incorporated joint venture, these transfers must be registered with the corresponding Land Registry. Contributions of intellectual property must also be recorded in the relevant patent or trademark office. The company’s articles of association establish the terms and conditions for the operation of the company and its corporate governance. The articles have a minimum mandatory content (eg, regulating the corporate purpose, corporate domicile, fiscal year, management body and share transfer restrictions, if any) but may also include other rules that are bespoke to the venture (regulating preferred shares, reserved matters and veto rights, minority protections and drag-along and tag-along rights). Listed companies must also approve specific regulations regarding the general shareholders’ meetings and the board of directors. In contrast, shareholders’ agreements are commonly used to develop other corporate matters without the rigidity of statutory corporate law and the limited scope of the articles of association. The content of shareholders’ agreements can vary greatly. They generally regulate issues such as the transfer of interests and restrictions upon these transfers, voting rules, capital calls, deadlocks and dispute resolutions, financing requirements and non-competition. Additionally, in joint ventures, shareholders’ agreements include some additional provisions, such as the purpose of the joint venture, duration, contributions and ancillary agreements among the shareholders. The articles of association are binding upon all shareholders while the shareholders’ agreement is enforceable only between its parties. In the case of a breach of the agreement, the non-defaulting partners will only have contractual claims against the defaulting shareholder, with no right to challenge corporate resolutions passed in contravention of the agreement. Certain scholars, however, consider that this res inter alios acta rule should be excluded if all the shareholders and the company are parties to the agreement. In this event, the agreement should be enforceable against the company and allow the partners to challenge corporate resolutions that are contrary to the agreement (even if its contents are not reflected in the articles of association). This position has so far not been upheld by the Spanish Supreme Court. As a consequence, joint venture partners tend to reflect most of the terms of the agreement in the articles of association. Certain provisions of the agreement may, however, not be recorded with the Commercial Registry, given that they contravene corporate law or are drafted with reference to the particular parties (rather than shareholders generally) or when the partners wish to keep certain terms confidential. In the case of contractual joint ventures, the relevant agreement will set out the role and contributions of the parties, including their undertakings and possible restrictions to information sharing, subject to the overriding principle of good faith. In contrast, in an incorporated joint venture, the main principles of corporate governance will apply. As a consequence, the members and, more importantly, the directors, are bound by the duties of loyalty, the principle of equal treatment of all shareholders (subject to certain exceptions) and, for the directors, the duty of care and loyalty, subject to acting in the best interest of the company. Information sharing is a matter of particular concern. In accordance with their duty of loyalty, directors must maintain the secrecy of all the confidential information that comes into their possession and avoid acting when a conflict of interest arises. Competition law may also impose restrictions on the information shared with competing joint venture partners. On the other hand, these restrictions must be balanced with the shareholders’ right to information: any shareholder may request, immediately and free of cost, any document to be submitted to the general shareholders’ meeting for approval and, as appropriate, the management and auditor’s report. Shareholders’ information rights also include other documents and reports when particularly important corporate resolutions are to be passed (eg, the amendment of the articles of association or a merger). In any case, the information may be denied if the management body considers that disclosure would be contrary to the company’s best interest. The refusal to provide information will not be valid when supported by votes representing at least 25 per cent of the share capital (unless the percentage is reduced in the articles of association of the SA). The partners may agree on certain provisions for the exercise of control over the incorporated joint venture (eg, the definition of reserved matters, the appointment of directors and veto rights). These rules may lead to joint control by the partners (this is also the case from a competition law perspective) even if one of the partners holds less than 50 per cent of the shares. In addition, Spanish law offers some minority protection at different levels. Any shareholder may request the directors to provide information. Shareholders of SAs can pool their shares in order to appoint a number of directors to the board in proportion to the share capital they hold and in accordance with the proportional representation system. Shareholders holding at least 5 per cent of the share capital may call a general shareholders’ meeting with a specified agenda. If the directors fail to do so within two months, the shareholders may submit a judicial request for the call of the meeting. In SAs, they may also request the publication of a supplementary notice of a general shareholder meeting that includes additional items on the agenda. request the removal and replacement of auditors by the courts for justified reasons. The most common issues are related to partner contributions, preferred shares, reserved matters, voting majorities and veto rights, information rights, dividend policy, restrictions on the transfer of shares, exit provisions including drag- and tag-along rights, and deadlocks, termination rights and dispute resolution. The joint venture partners must agree on the number of directors to be appointed by each party, and, once appointed, the directors must act in the best interest of the company (in accordance with the corporate interest (ie, the interest of all shareholders and, arguably, other stakeholders)), subject to the principle of equal treatment of all shareholders and in compliance with their fiduciary duties (the duty of loyalty and the duty of care), the articles of association and all applicable laws and regulations. In other words, the fact that some directors are directly appointed by a joint venture partner does not imply that the directors owe any duty to the appointing shareholder or that they may be considered its representative on the board. Directors are also bound by a duty to notify any conflict of interest and are prohibited from competing with the company or taking advantage of business opportunities. The creation of a joint venture may be subject to a merger control review if the relevant agreements and the creation of the joint venture itself is considered an ‘economic concentration’ pursuant to EU merger control regulations or the Spanish Competition Law. In that case, notification of the transaction to the European Commission or the Spanish Competition Authority is compulsory if certain thresholds are met, in which case the joint venture cannot be executed prior to obtaining merger control clearance. Merger control clearance affords comfort to the partners as regards the creation of the joint venture, but the actions of the joint venture may still be subject to scrutiny by competition authorities. Additionally, joint ventures that are not considered an economic concentration will receive the same treatment as any other horizontal or vertical agreements under competition rules. Consequently, the assessment of the joint venture agreement will be conducted under the general requirements of article 101 of the Treaty on the Functioning of the European Union and article 1 of the Spanish Competition Law and its implementing regulations. The services should be set out in the joint venture agreement or in specific service agreements, or both. The services to be performed and the standard of diligence must be well defined in the agreements. Cross-defaults and the consequences of a breach of the service agreements for the joint venture are often negotiated at length. From a tax point of view, transactions carried out between related parties are subject to transfer pricing rules. As a result, the provision of services to the joint venture must be carried out on an arm’s-length basis. the requirement of prior consent from the relevant employees for the relocation or, as the case may be, any modification of the existing employment relationship. If, on the contrary, employees of the partners are to render services to the joint venture without a formal transfer, the rules on the illegal assignment of employees and on corporate groups for employment purposes must also be carefully considered. Lastly, the joint venture agreement should also deal with the situation of the employees upon termination of the venture, including possible re-transfers to one of the joint venture partners in compliance with the law. Intellectual property (IP) rights of the partners (or indeed, those of third parties) may either be licensed or assigned to the joint ventures. Choosing one or the other alternative has significant consequences from the perspective of competition law. In the case of a licence, the agreement must obviously regulate the scope and duration of the licence and whether the licence is exclusive or may be sub-licensed. The licence or transfer must be registered in the corresponding patent or trademark office. The joint venture agreement must also set out the consequences of any breach of the IP licence or transfer agreement, as well as the consequences of the termination of the joint venture on the IP rights. Incorporated joint ventures are usually funded by share capital contributions, share premium, equity contributions, shareholder loans or quasi-equity instruments (in addition to third-party debt). The joint venture agreement must regulate the sources of funding, including the initial commitments of the joint venture partners and the future capital calls. It must include the pre-money valuation of the joint venture for future capital increases and anti-dilution rights, as well as the consequences of any default by a partner to contribute its share of the funding. In addition, Spanish regulations on financial assistance prevent companies from providing any type of financial assistance (advance of funds, collateral, guarantees, etc) for the purpose of acquiring their own shares, those of its parent or shares in any of the companies of its group, with rules varying slightly depending on the type of entity. Partners of a contractual joint venture may establish whatever rules on profit distribution they consider appropriate. For an incorporated joint venture, there are compulsory company law rules that will apply regarding capital, profits and distributions. There are no specific limitations on the injection of capital into a Spanish joint venture, but there are minimum levels of equity required depending on the type of legal entity created. The equity required by law for an SL is €3,000 and must be fully paid up upon incorporation. For an SA, the minimum share capital is €60,000 and only 25 per cent must be paid up upon incorporation. No thin-capitalisation rules apply, but joint ventures should have a sustainable debt-to-equity ratio. For the distribution of profits, the Spanish Companies Act establishes certain provisions for the distribution of dividends. Among others, the Spanish Companies Act restricts the distribution of dividends when the company reserves are less than 10 per cent of the company share capital for each financial year. Distribution may only be made against retained earnings and distributable reserves. Earnings generated by a contractual (non-incorporated) joint venture will normally be allocated to the joint venture partners directly; this may lead to a foreign partner being considered to be obtaining income through a permanent establishment. Nevertheless, UTEs, as well as incorporated joint ventures resident in Spain, are subject to Spanish corporate income tax. The tax treatment of the company differs depending on the type of joint venture at stake. See question 6. Under the Spanish corporate income tax rules, the deductibility of financial expenses is limited in such a way that net financing expenses exceeding 30 per cent of the operating profit of a given tax year are not deductible for corporate income tax purposes, but can be deducted in future tax periods in accordance with the mentioned 30 per cent limit. However, net financing expenses not exceeding €1 million will, in any event, be tax deductible. Subject to the above-mentioned limitation, interest payments made by a joint venture vehicle to a resident or non-resident shareholder are deductible if valued on an arm’s-length basis. Dividends distributed by an incorporated joint venture to the Spanish joint venture shareholders will be subject to a 19 per cent withholding tax, unless the Spanish shareholder entity is entitled to the participation exemption. The participation exemption applies if that shareholder entity has a direct or indirect holding of at least 5 per cent or an acquisition value in the participated entity exceeding €20 million, and the holding has been maintained without interruption during the calendar year prior to the date on which the distributed profit is due and payable, or it is held until the one year holding period is completed. Likewise, dividends obtained by non-resident shareholders should generally be subject to withholding tax in Spain at the general non-resident income tax rate (19 per cent). Nevertheless, in an EU or tax treaty context, these dividends may be exempt from Spanish taxation. For foreign parties, there are certain information obligations regarding investments and divestments in Spanish entities, pursuant to Royal Decree 664/1999 of 23 April on foreign investments. Significant stakes in listed joint venture companies are also subject to stringent disclosure rules. Deadlock, non-compliance, dispute resolution and termination provisions are bespoke to each joint venture and significantly depend on the role and involvement of each partner in the joint venture. unwinding of the joint venture through repurchase or put and call options, Russian roulette or Texan shoot-out rules, the sale of the company to a third party, or the dissolution and liquidation of the company (with or without a preference right of the partners to acquire or repurchase certain assets, IP rights or other elements of the joint venture). The Spanish Companies Act also provides for the dissolution of the company in the event it may not pursue its corporate purpose or when there is a permanent deadlock in the company’s shareholders’ meeting or management body. The joint venture partners will exit the non-incorporated joint ventures through the termination of the joint venture agreement subject to the rules set out in the agreement. These rules will regulate aspects such as the distribution of retained earnings (pursuant to the agreed-upon waterfall), repayment of shareholder loans, termination of ancillary agreements and allocation of employees and other resources, with or without certain transitional services or other unwinding regulations, and with or without non-competition undertakings (to the extent allowed by competition laws). Incorporated joint ventures are commonly exited through the sale of the company (subject to pre-emption rights and with drag-along and tag-along rights for the partners), repurchase or put and call options, or the dissolution of the company with allocation of certain assets, IP rights or other elements to each partner or rules on the distribution of the liquidation proceeds. The circumstances and terms under which the joint venture will be terminated should be set out in both the joint venture agreement and in the articles of association of the incorporated joint venture. Mandatory provisions will apply only exceptionally in circumstances such as insolvency (the mandatory rules on the liquidation of insolvency estates and creditors’ preference override any contractual arrangement) or regulated activities (where only one of the partners might be licensed to continue the joint venture business). The winding-up of Spanish companies is subject to capital duty amounting to 1 per cent of the market value of the proceeds received by each shareholder on the dissolution. However, the dissolution of a UTE is exempt from this tax. The joint venture vehicle being dissolved must include, in its taxable base, the difference between the market value of the assets transferred to the parties and their tax acquisition cost. On the other hand, capital gains triggered by the sale of the joint venture company shares will be subject to a 19 per cent withholding tax, unless the Spanish shareholder entity is entitled to the participation exemption. See question 19. Likewise, as a general rule, capital gains triggered by non-Spanish resident shareholders on the disposal of Spanish shares are normally subject to non-resident income tax at a 19 per cent rate. In an EU or tax treaty context, capital gains on the disposal of shares of a Spanish-resident company may be exempt from Spanish taxation. In Spain, the parties to a joint venture agreement can freely decide the law applicable to the contract. However, if the contract is to be enforced in Spain, mandatory provisions of Spanish law will apply (see question 25). There are no constraints as regards dispute resolution methods, which can also be freely chosen by the parties. In general, Spanish law does not have mandatory provisions applying specifically to joint venture agreements. However, if the joint venture is to operate or have a permanent establishment, assets or employees in Spain, the parties must take into account the mandatory provisions of Spanish law (among others, competition, tax, labour and insolvency provisions). In addition, Spanish company law provisions will apply to joint ventures incorporated in Spain. Lastly, Spanish procedural law will be applicable to dispute resolutions held before Spanish courts (irrespective of the law governing the joint venture agreement). There are no specific restrictions for joint venture disputes; the general arbitration rules - which generally prevent courts from interfering with arbitration proceedings - will apply. With regard to joint venture agreements, there are no restrictions applicable to arbitration; the parties are free to submit any dispute to arbitration (whether domestic or international, ad hoc or institutional) and to determine the scope of the arbitration. In the case of corporate joint ventures, an arbitration clause may be included in the company’s articles of association - with the favourable vote of at least two-thirds of the shares of the company - so that the company and all its shareholders are bound by the arbitration clause. With regard to challenging company resolutions and board of directors’ decisions, the articles may regulate the number of arbitrators and their appointment through an arbitration institution, which will also be in charge of administering the arbitration. in certain cases, requesting damages from the directors. Minority investors are also protected by the law on unfair competition, contractual law (as set out in the Civil and Commercial codes) and other laws of general application. In Spain, there is no specific liability regime applicable to joint ventures. In contractual joint ventures, the general civil contractual liability regime will apply (eg, breach or non-performance of the joint venture agreement). Joint venture partners may be held liable if they contract with third parties in their own name (customary in contractual joint ventures) or in tort. in the case of fraud or when the ‘piercing the corporate veil’ doctrine is applied (also very exceptional). Directors may also be held liable in certain cases (eg, when directors adopt a resolution that damages a creditor or other third party, or when the directors fail to call a meeting to recapitalise or dissolve the company when its equity has fallen below 50 per cent of its share capital). In Spain, in civil proceedings, there is no general obligation to disclose evidence to the other party. There are, however, court proceedings aimed at obtaining the presentation of certain documents that are only available for disputes related to very restricted matters (eg, intellectual and industrial property and competition law). Communications among lawyers and between lawyers and their clients are subject to a duty of secrecy and, therefore, cannot be disclosed or constitute evidence in court proceedings. There also exists a duty of secrecy applicable to bank documents that can, however, be lifted by a court. In certain cases, case law has permitted that some information may be protected by business confidentiality. Spain has a favourable legal framework for foreign investors and has adapted corporate and governance rules to a system of general liberalisation. Its EU membership enables potential investors to benefit from European aid programmes and tax regulations. Further, joint ventures may benefit from the many tax treaties signed by Spain with numerous countries. If the partners intend to use the joint venture as a holding platform to invest abroad, both the shareholder and the joint venture may benefit from the special tax regime applicable to entities holding foreign securities. This special regime exempts the parties from taxation income resulting from dividends and capital gains generated by the foreign subsidiaries. Joint ventures in Spain are generally unrestricted and may be generally used in most areas of the economy. However, owing to their national significance, some industries are subject to specific regulations, such as gambling (a Spanish licence must be obtained), air transport (the company must be majority-owned and effectively controlled by EU nationals), the audiovisual sector (a person from outside the European Economic Area may not exceed certain thresholds of the share capital) or the financial and insurance sector (authorisation or non-opposition process). A prior assessment will be needed to fully understand the limitations applicable to these sectors. Joint ventures are very commonly implemented in Spain and are frequently being implemented for the acquisition of certain non-performing loans and real estate owned by financial entities and investment funds.